Aaron Hernandez’s death has officially been ruled a suicide, the Worcester County District Attorney’s office confirmed on Thursday, April 20. “The manner of death was suicide and the cause asphyxia by hanging,” the office said in a release. According to the district attorney, Hernandez, who was seen alive for the last time at 8 p.m. Tuesday night, was alone at the scene and there were no signs of struggle. Authorities said he jammed cardboard into the door tracks to delay entry into the room. Additionally, investigators found three handwritten notes that were left next to a Bible in Hernandez’s cell. 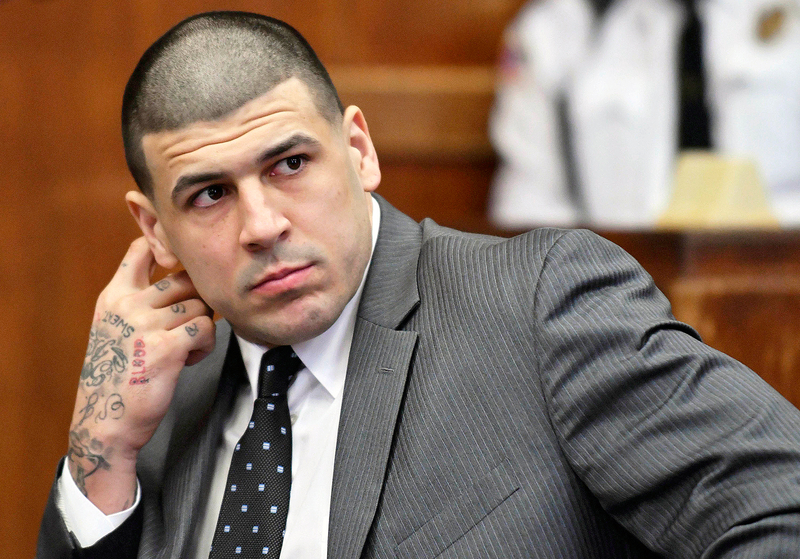 Hernandez’s body was released on Wednesday and his brain will be researched at Boston University’s Chronic Traumatic Encephalopathy Center at his family’s request. As previously reported, a lawyer for the late athlete’s family held a press conference on Thursday claiming that the Worcester Medical Examiner’s Office was illegally holding onto the organ at the time.